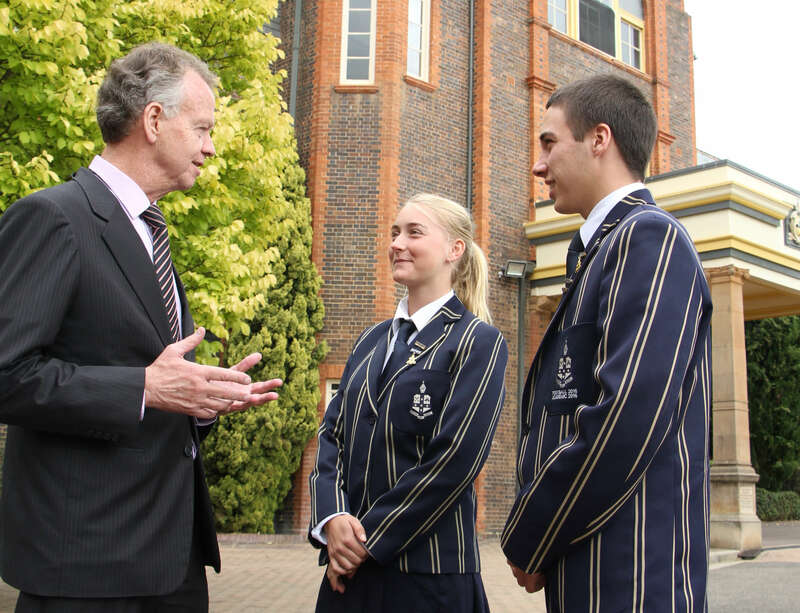 By considering The Armidale School for your son or daughter, you are expressing an interest in the dynamic academic, co-curricular, and leadership, service and adventure opportunities offered at one of the leading independent schools in the country. TAS is a place where students have the chance to explore new horizons. It is a place to make new friends; experience exciting challenges and adventures in and out of the classroom, and be given the chance to excel at whatever they choose to do. To begin your family’s TAS journey, please explore this website. We then invite you to complete the online enquiry form. As soon as the enrolments office receive this, we will contact you to introduce ourselves and send you an e-pack with further information and registration details. At this time we can discuss the option of a visit and a tour of the school at a time that suits you. Every day is Open Day at TAS. In addition to individually arranged tours and meetings, we do conduct a Scholarship and Open Day each February in conjunction with our scholarship exam. This is generally aimed at families who have registered for enrolment the following year however we encourage anyone who is interested in a TAS education for their son or daughter to attend. To read about the enrolment process, please use the menu at left. For international students, please click here to go the International Student Enrolments page. The first step is completion of an Enrolment Registration Form which should be returned to the Registrar along with a copy of the student’s birth certificate and payment of a non-refundable Registration Fee ($220). This entitles a student to be registered for TAS, however does not guarantee entry of a place, which is dependant on an interview. Around 10-12 months prior to the proposed entry date, parents/guardians and the prospective student will be invited to TAS for an interview. Arrangements will also be made for an Experience Visit (including an overnight stay, for boarders). For the interview, copies of the student’s school reports, NAPLAN test results, records of academic, sporting or cultural achievements are also required. In the case of Transition and Kindergarten, all applicants will be invited to an interview during early August prior to the year of entry. Following an interview and Experience Visit, the school may make an offer of a place. The school accepts the right to offer or not offer a place for an applicant, regardless of payment of the Registration Fee. Offers are made if and when places become available. A Letter of Offer will be accompanied by an Enrolment Acceptance Agreement. An enrolment is a contract, whereby the school guarantees a place for the applicant, in return for acceptance under set terms and conditions outlined in the Enrolment Acceptance Agreement. This signed Enrolment Acceptance Agreement must be accompanied by a refundable Acceptance Fee in order for a place to be secured. The Acceptance Fee is currently set at 12.5 per cent of the annual fee of the year of enrolment of the student. The Acceptance Fee is refundable to the parent/guardian following payment of the final account when the student leaves TAS (and other conditions are met). Non-payment of the Acceptance Fee by the due date as outlined in the Letter of Offer, may result in the place being offered to another applicant.